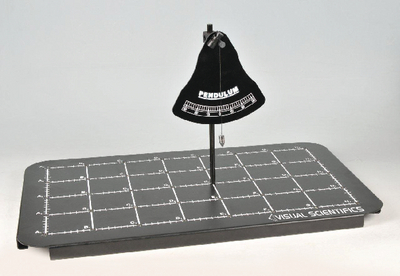 Discover the period of a simple pendulum, then use video analysis with two extensions to investigate energy conservation and apply technology to track energy conversion. Includes pendulum backboard, mounting rod, pendulum bob and stopper, and string. The activity requires the Visual Scientifics Base, which is available separately. Recommended: Video camera, graphing software, and photogate system, also available separately.